A worksheet based on an animated film of The Happy Prince by Oscar Wilde. 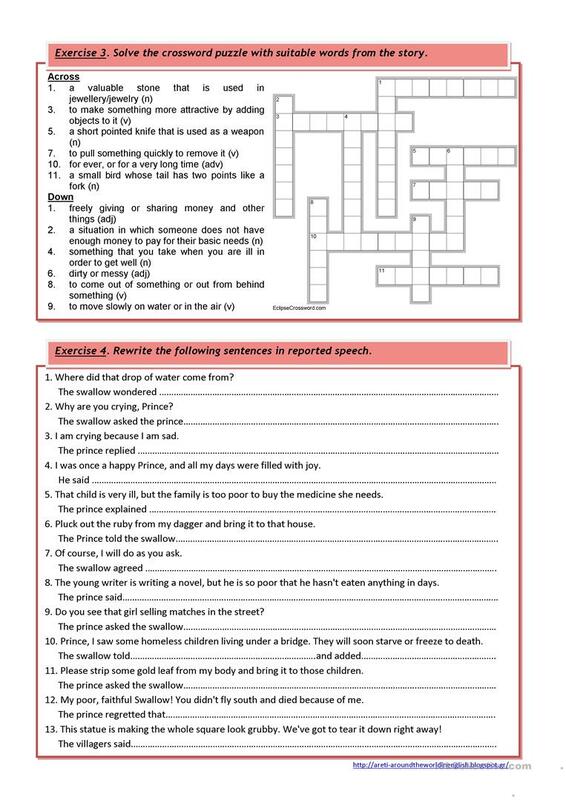 It contains a True/False exercise, a set of comprehension questions, a vocabulary exercise (crossword puzzle) and a grammar exercise (reported speech). 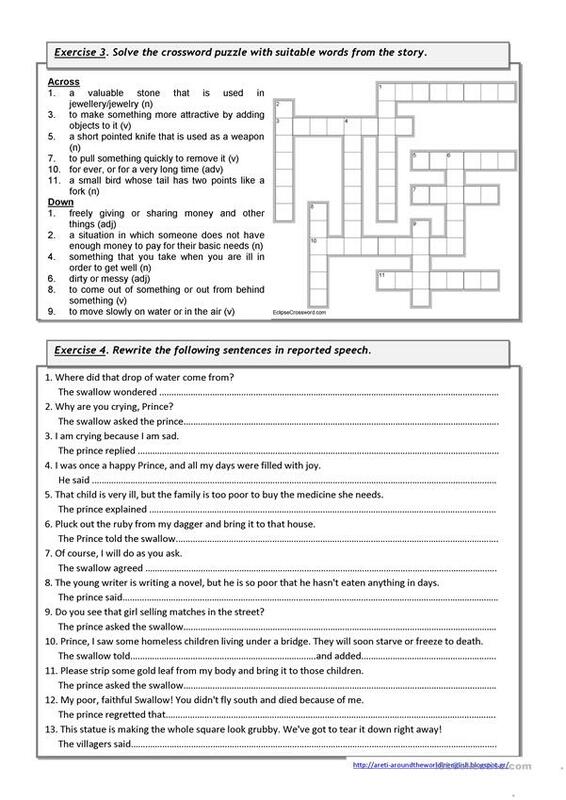 B/W version and Answer Key included. The present printable, downloadable handout is meant for high school students, elementary school students and adults at Pre-intermediate (A2), Intermediate (B1) and Upper-intermediate (B2) level. It is a useful material for practising Reported Speech (Indirect speech) and Reported speech: Reporting verbs in English, and is a valuable material for working on your groups' Listening skills. You will find the solution at the end of the worksheet.